‘Tis the season for gingerbread lattes, peppermint mochas, eggnog lattes, and cinnamon swirl coffees…or is it? With the craziness of last minute shopping and preparation for the holidays, I am sure that some of us needed a little bit of a pick-me-up and gave into one of these flavored coffees. What you probably did not think of was all of the chemicals that were used to flavor your coffee! French vanilla, hazelnut, and cinnamon all sound like they would be a natural addition to coffee, but in reality there are very few coffee bean flavors that are truly natural. To flavor coffee, the roaster adds the chemical propylene glycol to the beans to help get the flavoring to sink in. 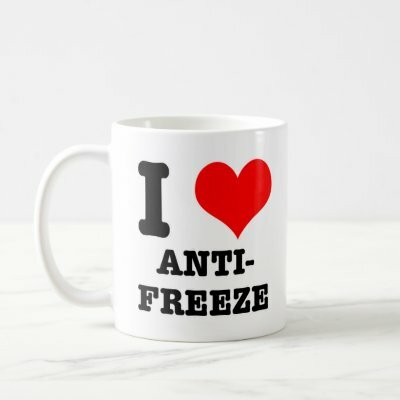 If you are wondering what propylene glycol is, it is used in the manufacturing of antifreeze… yes, I said antifreeze. Are you suddenly regretting that peppermint mocha now? I would too! As a food additive, propylene glycol is on the U.S. Food and Drug Administration’s (FDA) safe list (not to be confused with ethylene glycol, which is extremely toxic if ingested), however, I am still a little hesitant to consume anything that contains this chemical. Any Irish Crème drinkers out there? Here is what is in that delicious drink: ethyl alcohol, dimethylamine-D1, formamidiniumacetate (try saying that five times fast or even once! ), alpha methyl benzyl alcohol, and heliotropin (used to manufacture perfumes and soaps). How about anyone who likes a nice peanut flavor added to their coffee? Now you are ingesting 2,4-dimethyl-5-acetylthiazole or 2,5-dimethylpyrazine. Other flavored coffees consist of up to 80 different compounds to achieve a certain flavor. YIKES! And do not worry about the people using these chemicals to flavor coffee because they are protected by the hazardous materials suit that is required by law. In the safety statements of the chemicals mentioned, it says, “Wear suitable protective clothing, gloves and eye/face protection”. 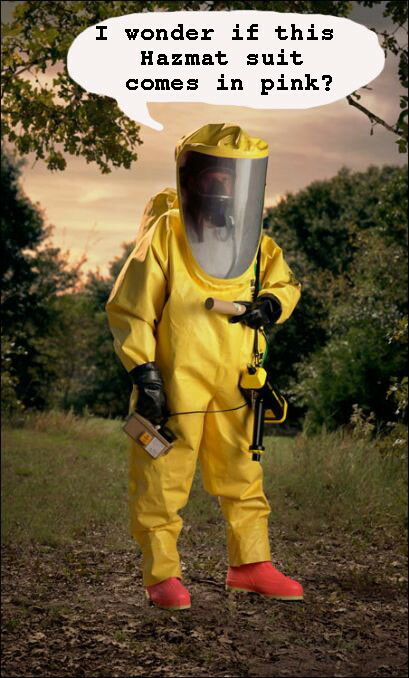 If they have to wear haz mat suits, imagine what it does to our bodies after consuming it! I know for one thing that I would not want my liver filtering all these chemicals. What many people do not know is that coffee has its own natural flavors. Adding creamers and flavorings only mask the good flavors that are already IN the coffee. On one website I was shocked to read that some manufacturers use floor sweepings and blown roasts for their batch of flavored coffee! Other companies want to save money and buy poorer quality beans and use flavorings to cover up the bad taste. Here at Black River Roasters, we do not flavor the coffee because we want you to enjoy the true tones and aromas that coffee naturally contains. If you are a chocolate lover, try our Organic Costa Rica. Or maybe you want something with a buttery aftertaste, then try our Organic Ethiopia. Now go appreciate the natural flavors with a cup of Black River Roasters coffee! This entry was posted in Coffee Info / Education, Health and tagged alpha methyl benzyl alcohol, antifreeze, chemicals, cinnamon swirl, coffee, dimethylamine-D1, eggnog latte, ethyl alcohol, fair trade, flavored coffee, formamidiniumacetate, gingerbread latte, hazmat suit, heliotropin, irish creme, natural, organic, peppermint mocha. Bookmark the permalink.